The power of art is boundless. Look at the way art can transcend the boundaries of time, space, and place. The work of world class sculptors Caroline Ramersdorfer and John Van Alstine showcases exceptional use of material, scale, balance, and light. Photographer Eric Anderson captures a glimpse inside an imaginary world filled with very real people. Lastly, plenty has been written about the Cuban Missile Crisis, but in a new exhibition at the JFK library, you can experience it. 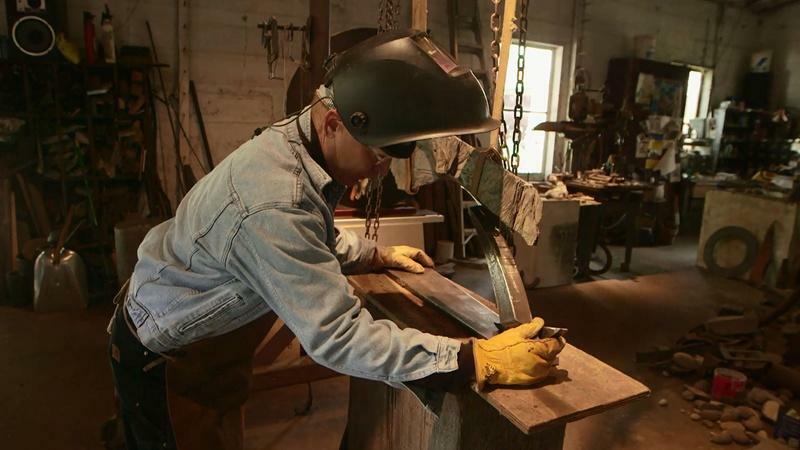 Sculptor John Van Alstine on welding his sculptures. Sculptors Caroline Ramersdorfer & John Van Alstine on exhibiting at the Beijing Olympics. Sculptor John Van Alstine on mythology that inspires his sculpture. Sculptor John Van Alstine on how the myth of Sisyphus inspires his process.